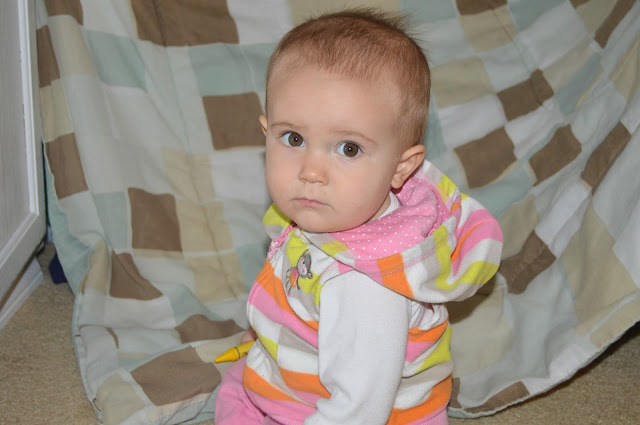 Do I Actually Need a WiFi Camera Monitor for my Baby? Meet Cohen. Well, Cohen 4 years ago. Where to start? 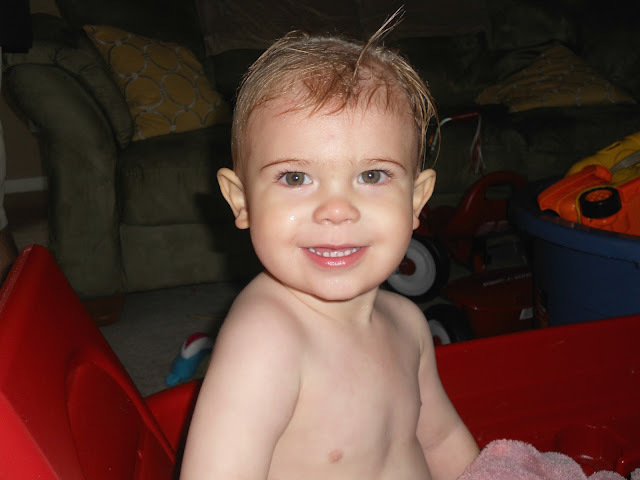 I seriously love this kid but since the moment he was born he has given me a run for my money. He never slept, ate like a horse and turned into Houdini the moment you would try to swaddle him up. Oh, and he decided to roll over at two weeks old — I’m serious, I have it on video. So when we decided to move him to his crib it was a big step and it ended up working out for the best because he finally started to sleeping. However, this was five years ago and video monitors were fairly new so no one really had them. Therefore I had to turn on my ninja skills and peek in on him when he was sleeping basically holding my breath the entire time. Any subtle movement would wake the kid up out of a dead sleep and therefore you were doomed. Let’s just say it was a menacing pain. Fast forward three years later when Lola was born. I refused to have to bust out those ninja moves again and I jumped on the video monitor bandwagon. This kid, however, is not like the others. She will ASK for sleep. Seriously, can we say dream child? But when we moved her to her crib she struggled a bit because Lola, unlike her brother, loved to be swaddled but I didn’t want to swaddle her unless she was right next to me. The video monitor was awesome as I could watch her and check on her at all hours of the night as well as during naps without turning into the Karate Kid. It gave me a sense of reassurance when I laid her down to sleep. Now that Remy is here I will need a monitor for her too. We have recently started getting her used to her bed and considering her brother and sister sound like elephants when they are awake and playing, it’s important that I keep her door shut to keep her room quiet so she can sleep. 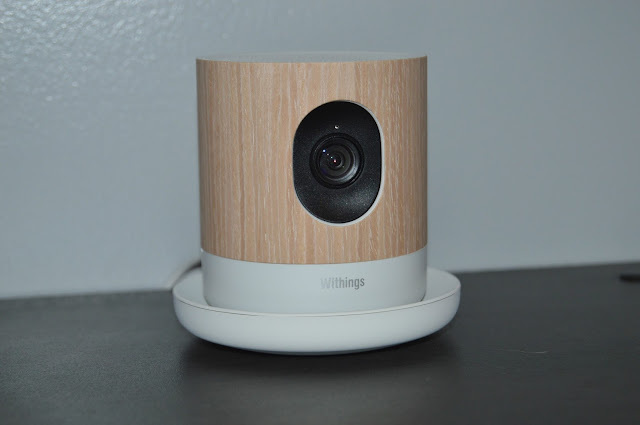 Currently we are using the Withings Home HD camera that has the advanced baby monitor features on it. The camera is small and sits nicely on her bookcase which is aimed right at her crib. The best part about this camera monitor is that you stream stream live from your smartphone or tablet using the app. –Motion Alerts — Whenever the camera detects motion within the room it will send an alert directly to my phone even if the screen is locked. –Push-to-Talk feature — With the press of a button I can talk to Remy while she is in her room without having to get up. It has also been handy when my husband is upstairs changing her and I need him to bring down diapers, wipes or the laundry basket. –Lulla Light and Music programs — This is one of my favorite features! I’m a huge fan of sound machines in all of my kids’ rooms, so being able to have a monitor and sound in one is a huge plus! I can control the level of the music from my phone as well as change the sound and length I want it to run. The music is even paired up with lights on the bottom of the camera to an LED light sequence that is perfect for bedtime routines. –HD Video and Wide Angle Lens — No matter what time of the day, I am able to see my sweet girl in her room as well as zoom in and out because of the 135 degree wide angle lens. –Air Quality Levels – I can also monitor the air quality in Remy’s room right through the app and I will be notified if there is any sign of dangerous levels of Volatile Organic Compounds. My only frustration with this monitor is that if it loses signal with my wifi connection, I have had to hard reset the camera to get it to reload back onto my app and phone. I only had this happen once when I unplugged the camera to move it to a different spot. Once I plugged it back in I had to completely hard reset everything to get it up and running again. However, I haven’t had any other trouble since then – even when we recently changed internet providers. I do love the convenience of being able to link the camera up to our phones and our iPad. When we are able to finally get out for the night I will be able to leave the iPad set up for our sitter as well as take mini peeks in on sleeping Remy while we are out. Plus, when we are past the baby monitor stage, I can use my Home camera in another area of our house for added security. Thankfully technology has changed in the last five years since our first baby and I no longer have to practice my ninja moves as I stealthily open the door to check on my sleeping baby. Thanks to Withings Home HD camera, I can check on her from the comfort of my own phone. 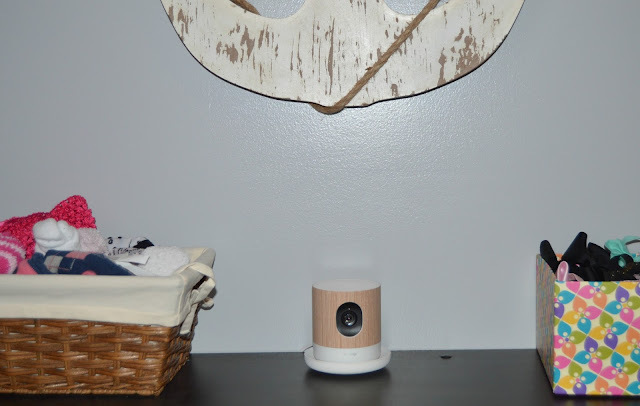 Right now Withings is offering an exclusive Home Baby Bundle on Amazon for $199.95 that includes the Home camera and two interchangeable covers in pink and blue. You can also purchase your Home camera directly from Withings website. Disclosure: I received a product for review in exchange for this post. All opinions are 100% my own. This post contains affiliate links.